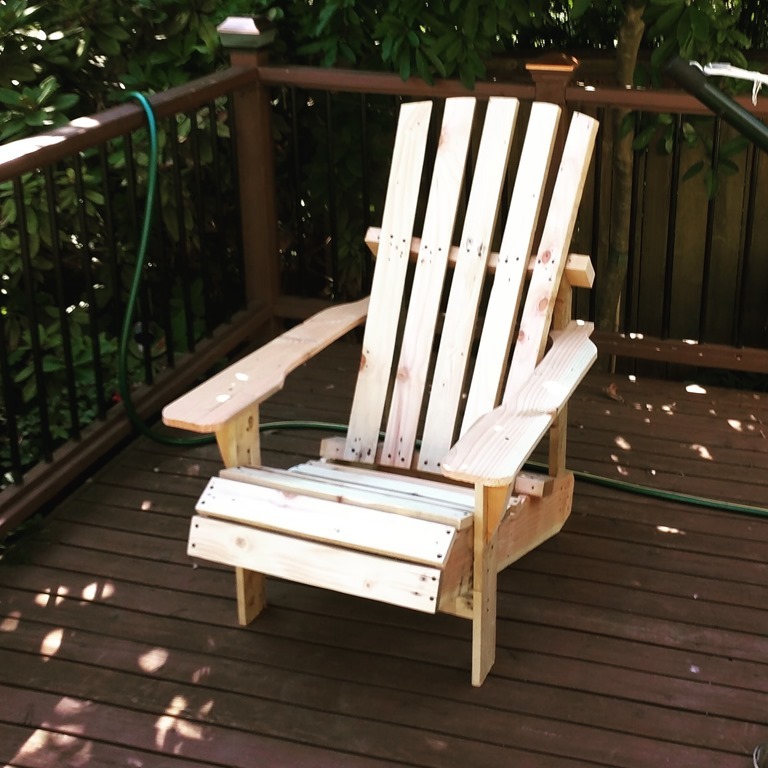 From this plan on Instructables I made a pair of Adirondack chairs for my garden area from pallets that were being disposed of at a nearby factory. They were recycling the shredded wood, I simply repurposed the wood. 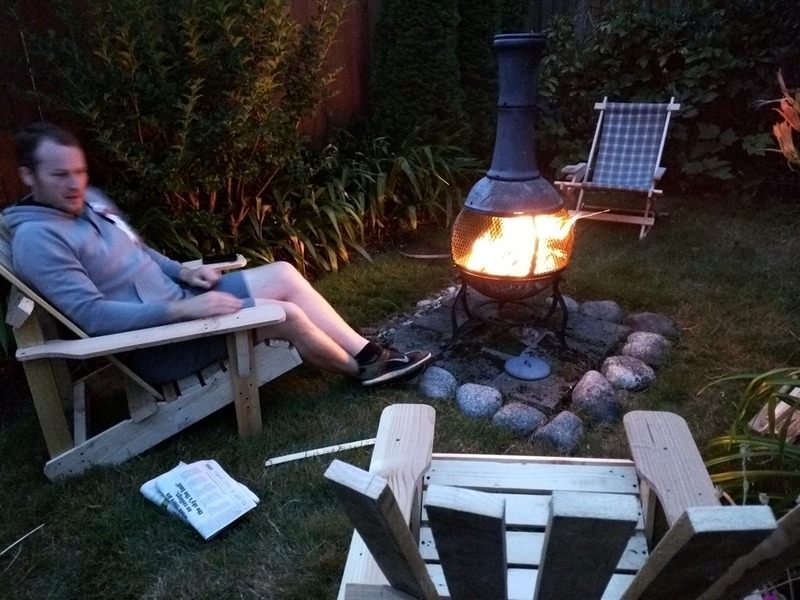 And then I used the scrap pieces for a celebration fire to “test” the chairs in use. 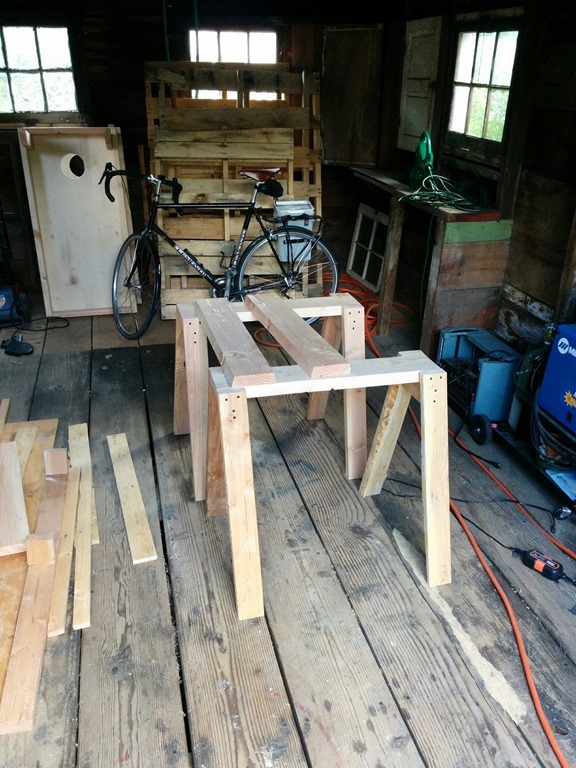 And when I was completely done, I had enough left over screws and scraps to put together some sawhorses. The tops of the sawhorses are repurposed scraps from a construction site disposing of them in the landfill dropbox. 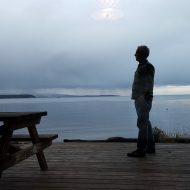 They were but small scraps to them, and here they are pretty darn useful. More useful if I had these before the project, but I wasn’t sure how much useable wood might be left over.